In the video above, I show you how to knit the ripple stitch (written pattern below). This stitch can be knit flat or in the round. 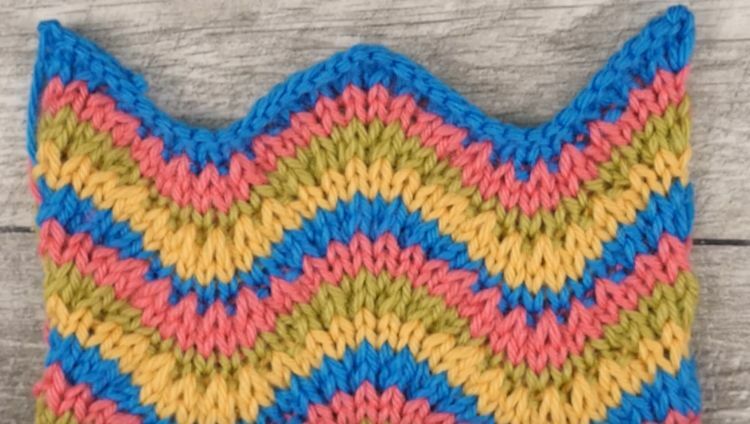 In the video, I use two colors over a simple 4-row repeat, but experimenting with different sets of colors or variegated yarns in ripple stitch yields many dazzling effects. Put this keeper in your knitting tool belt for impressive scarves, sweaters, and blankets to gift your loved ones. 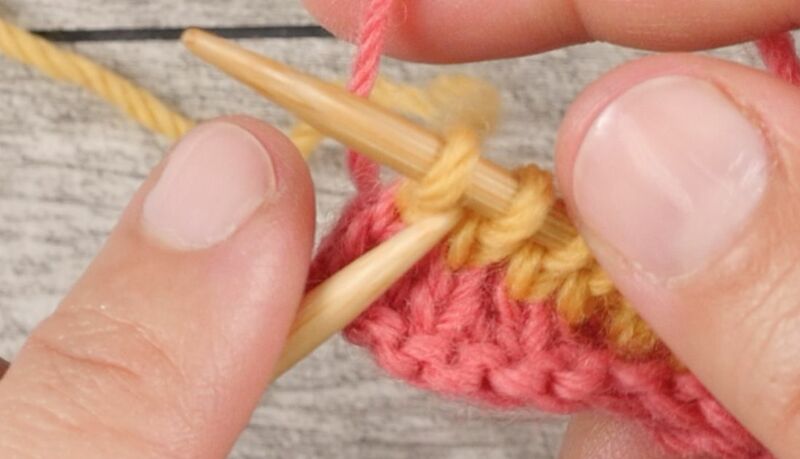 You should know how to knit, purl, decrease by knitting 2 stitches together and increase by knitting into the front and back of each stitch. Pro tip: Knitting in the round: Knit all even rows. Pro tip: For invisible color changes, hold the new color in front of the old. See the video above for reference. With color A, cast on a multiple 18 stitches per repeated motif. Each multiple makes one complete “mountain” motif. I cast on 36 stitches for 2 repeats. In the video above, I knit 2 rows of stockinette before beginning the ripple stitch pattern. You could begin after a section of garter stitch or anything you like. Row 1: Bring B in front of A, 3 k2tog , 6 kfb, 6 k2tog, 6 kfb, 3 k2tog. Row 3: Bring A in front of B, knit. Repeat rows 1-4 as desired. End here, or with more stockinette rows, or a section of garter stitch as desired.